Parathyroid adenoma is a small tumor of the parathyroid gland and is known to be the most common disorder of the gland. Parathyroid adenomas are benign therefore it is not malignant. The parathyroid gland increases in size and it tends to produce excess parathyroid hormones. This is also known as primary hyperparathyroidism. Patients are not aware of the tumors in most cases. Tumors are only found when patient’s routine blood test results show elevated blood calcium and parathyroid hormone levels. In serious cases, kidney stones can form as the bone density diminishes. The parathyroid glands in the neck are responsible for controlling calcium use and removal in the body. The parathyroid glands do this by producing parathyroid hormones or PTH. PTH helps in controlling calcium, vitamin D and phosphorus levels within in the blood and bone. Parathyroid adenomas may also be due to genetic problems. If there is a family history of someone having a parathyroid adenoma, it is more likely for the present and upcoming generations to suffer from the same condition. Every effort must be made to treat these conditions prior to having a patient undergo a surgery. 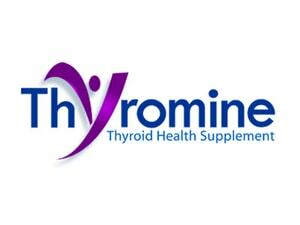 Most people who suffer from parathyroid adenoma have no symptoms. When blood tests are done for other medical reasons, parathyroid adenoma is discovered. However, there are reports that state parathyroid adenoma symptoms include bone fractures, kidney stones, muscle pain, confusion, constipation and nausea. There are two main approaches to parathyroid adenoma surgery. Both can be accomplished using local anaesthesia and small incisions. Both also have the possibility of being discharged on the same day after a period of observation normally around 6 hours. The standard approach to parathyroid surgery has been used as treatment for parathyroid disorders. It involves a bilateral exploration for the removal of the diseased parathyroid glands. The focused or directed approach involves a lateral exploration to remove the diseased parathyroid glands. This may be performed through a small incision. 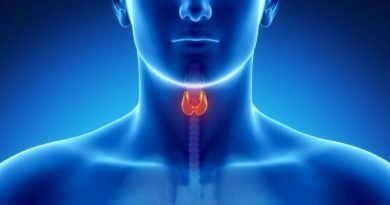 As far as parathyroid adenoma treatment is concerned, surgery is the most known and common treatment. For patients who have hyperparathyroidism, they need regular visits to their doctors for additional assessments. Estrogen replacement may also help relieve parathyroid adenoma symptoms and can even prevent bone loss in postmenopausal women. Most patients are observed for 4 hours before being discharged. Patient may have the option to stay overnight if they want to be sure that no complication will arise after the surgery. Patients may be able to resume to their daily activities after the surgery. It is also highly advised to avoid strenuous activities such as heavy lifting or sports for a minimum of 5 days. Patients may either opt to go back to work or take a few days off after the surgery. Parathyroid adenoma diagnosis is done by taking blood tests. Blood tests are taken to check the levels of phosphorus, calcium, chloride and bicarbonate. A 24-urine test is also done to check if there are any signs of increased calcium in the urine. Other tests for parathyroid adenoma diagnosis include bone density exam, bone density exam, MRI (magnetic resonance imaging) or sestamibi neck scan, neck ultrasound and kidney ultrasound to check if there are kidney stones.